The last few weeks has been an amazing period. In politics it is not just the imaginable that happens but the impact of the unimaginable which has infiltrated our Australian psyche. Who would have thought that Peter Dutton would think himself worthy of the Prime Ministership? A man without compassion towards asylum seekers, but overflowing with it when it comes to granting visas to foreign (white) au pair girls. It was fortunate that it did not happen. Our previous PM, Mr Turnbull, now in NY City. No doubt glad to be away from the mess. He must have wondered what happened. The Government will not ‘sit’ till the 10th of September. I expect the fireworks to start all over again and predict there could well be another spill. The real truth of all that turmoil and personal fighting came finally through. Coyly at first but none the less, finally an honest revelation. First it was one politician and the next day another one. Both answered when asked about the turmoil and chaos, the claims of bullying etc. In essence, this is what they said. Mix that with parliamentary privilege, unable to sue for libel or defamation, and you have the perfect mode for endless personal fighting and bullying. Seeking consensus and working together is an anomaly in the British system. Last but not least, the urging of the extreme right to restrict immigration and only allow those that will hold-up our traditional Australian values. Did anyone see the irony that when the new Ministry was signed in by the Governor general, each and every one of the new ministers gave their signed allegiance not to Australia but to the Queen of England? How to become more Australian. You can tell that the elections for a Government are getting close. Politicians are ramping up a bit of nationalism by proposing that emigrants acquaint themselves with a ‘true Australian culture’. At the same time are hints about that Australia is slipping away from its unique Australian culture. Even in far-away England an Australian politician, Alan Tudge is suggesting we are at risk of ‘veering’ away from our special uniqueness. It is useful, especially before elections, to try and get extra votes by suggesting foreigners are the cause for us slipping away from our special Australian uniqueness. “Australia will consider adding a “values test” for those considering permanent residency in order to protect its “extraordinarily successful” multicultural society, Malcolm Turnbull said. The prime minister confirmed what his citizenship and multicultural minister Alan Tudge told the Australia/UK Leadership Forum overnight, where he floated the idea of a “values” test to fend off “segregation”. Tudge told his London audience “our ship is slightly veering towards a European separatist multicultural model and we want to pull it back to be firmly on the Australian integrated path”. Whenever someone espouses Australian uniqueness one can rest assured that not a single definition or sample of this special Australian culture will come forth. How can it? Are the people in Italy or Norway without freedom of expression? Are the Dutch forbidden to have a choice in how or where they live. Do the French not have laws protecting them from exploitation by banks or crooks? Are Germans denied sauerkraut? One thing that stands out separating Australia from the rest of the world, is that in our unique culture, we in Australia only, still don’t have a Bill of Rights. If we are supposed to be well versed in Australian values and even go so far as insisting that those considering residency here to do some kind of Australian culture ‘test’, how come that our head of state is a British subject? With all that Australian uniqueness we still haven’t got our own Head of State. Why? It were the American forces who saved Australia from Japanese occupation 1945, not that of Britain. We are guaranteed protection by our Anzus treaty foremost, and would be silly to think English troops coming to our rescue in case of wars. This ploy to try and ramp up a freaky form of Nationalism using anti-foreign rhetoric is so typical of our state of degradation on the political front. We might get our politicians to do a test instead. We should all despair and show it at the next election. Those Hats and the Reverend. The waitress and I have an understanding to keep the bottle’s cap. This helps us not having to drink the whole bottle and drive home half sloshed. After a couple of glasses, and the share of Fish and Chips, our bottle was re-capped by the waitress. A brown paper bag over it, we walked to the car and drove home. We switched on the TV and sure enough, the wedding of Prince Harry and Meghan was at a spiffing rate. Guests were arriving in numerous outfits and stretched-out cars. What really stood out were the women’s hats. Not just the hats, but the acute angles that they were fastened on the heads. The inspiration for hats at this wedding was avian. In fact I expected some hats quite capable of laying eggs. Camila, Prince Charley’s wife, had a hat so large it became speculative material for a subdivision. It blocked out the CNN news crew who quickly rearranged themselves behind George Clooney, who thankfully, like most men, was hatless. The price for the most unexpected event would have to go to the Chicago reverend, Michael Curry. He totally veered off the written scripts and went all spiritual. The word ‘Love’ was mentioned 56 times. This in front of a stone faced British audience. As he preached along, he became more and more evangelically enmeshed. If he expected the Queen and her Prince Phillip husband to leap up and shout ‘alleluia’, he was badly informed about the English. The Queen was visually squirming. The only one who seemed comfortable was the bride who was totally at ease with the fervour and zeal of the event. Some priceless close-ups of battle hardened married couples were telling that ‘love’ does at times extract a price not previously having been foreseen. Especially at times of weddings. The white wedding dress, the Ave Maria. It was all so beautiful and romantic then! Prince Charley and Camila were especially showing some wear and tear but what the heck. I reckon they both make the best of what marriage is very good at. An enduring friendship, that sails along the waves of time and glory, both the bad and the good. Helvi and I polished off the Shiraz and some more. We enjoyed it very much which was unexpected. We did like the wedding dress and its 10 metre trail. I mentioned to Helvi it cost $180.000. ‘So what?’ she said. I wasn’t sure what to make of her statement. I know weddings can be expensive. Some time ago, I wrote that there is a correlation between the expense of weddings and the duration of the marriage. The dearer the wedding the shorter the marriage. We shall see. It certainly explains a lot about our relationship, now in its sixth decade and nicely steaming along. I wish all the best for the Harry and Meghan. I reckon they will see it through. A solid foundation for bullying. With a steady stream of News on TV and newspapers about many forms of bullying inflicted on school students including the latest insights on’hazing parties’at our Sandstone and other prestigious universities one wonders where this stems from? While this might go on in other countries, I am not aware of it, and can only write about what happens here ‘today’ in our own neck of the woods. The Australian school systems, especially the more exclusive ‘Private school’s’ have a system whereby the school classes have captains, prefects or duxes appointed by the head master or mistress whose rules and penalties were the standards and to be obeyed without questioning or a recourse to a higher authority. The most likely reason for this is that many established rules of our societal norms have been inherited from the British. (Till this day our head of state is the English Queen). In schools cheating or letting down the other side is still considered more serious than failures of sensitivity. Stealing is still seen as the most serious failure. In Australian schools, prowess at sport is extremely praiseworthy and excuses many breaches of rules and decorum. Bookishness and dislike for physical activities is disliked and even arouse suspicions of a certain moral darkness and even invites punishment or some form of disciplinary action for the slightest breach of the rules set by the school captains or prefects. A good rapping over the knuckles with a bamboo stick was the answer. Hardiness is considered more important than sensitivity, let alone imagination. In boarding schools you get up at six, take a cold shower and run a mile before the classes assembled in uniformed solidarity. Woe those that had hidden a book under their pillow. It just doesn’t apply to schools or universities. Just look how our politicians behave, almost on a daily basis. And how does one explain the fact that refugees are now in their fifth year of deliberate and intentional detention on Nauru an Manus. While a small dribble of people have finally been allowed to settle in America, the majority are still stuck in endless limbo. A purer form of punishment and bullying would be hard to imagine. Yet, our PM has now instructed his department to write to every headmaster to install programmes to alleviate bullying. But this is a hollow act, perhaps to make him look good and enhance his future election as a PM. A better example would be to show kindness to the refugees still in detention. Admit that coming by boat to Australia escaping the mayhem of bombings in own countries is no crime. Our PM would do better and do away with the overt British system of discipline and punishment above all else. Is the Second Amendment anti democratic? The Pagoda of Buddhist temple near Sydney. A long time ago now, my Australian friend was advised to make sure to be back at the hotel before 9pm. ‘It’s not safe in LA after that hour’, the hotel concierge told him. My friend did hear gun shots during the night. He very much enjoyed his visit to the US and thought the restriction of being back in the hotel before 9pm a somewhat quirky event that he still likes to regale to this day. While the bearing of arms in the US is regarded as a democratic right protected by the constitution including the second amendment, I am beginning to wonder if it actually is so democratic. With a fear gripping the country where even children are afraid to attend schools. Is this freedom to bear arms now restricting the enjoyment of the free and democratic society that the US is so well known for? This all very well, but what about the children? What about the children? This ‘freedom’ is killing them now and what are you going to do? You must know that more guns will kill more. The statistics are apocalyptic and horrifying. It is now restricting your freedom, your people. You keep on putting trade restriction on North Korea because you feel they are a threat to your security, but what about your own internal security? The lack of security is rampant, and in the hands of assault weapons held by millions of citizens well within your own borders. You are not a Cow-boy country anymore and the British ceased to be a threat. What and who are you so afraid of that makes you want to bear those Arms at forever increasing numbers? Just because it is in a constitution does that mean that no matter the effects to thousands of victims each year, this country is too lame now to change it? I pray that at the next election the opponents of a US democracy, including the NRA, will be taught a lesson they will never forget. A few months ago our daughter decided to move closer to Sydney. Most daughters need help when moving. The help she needed were both materially and physically. You know how it is! Estate agents are so far removed from presenting reality in their ‘for sale’ advertisements, that I ended up replacing ‘large’ with ‘small’ and expansive water views with ‘a garden-hose’ or a ‘sprinkler’ going around aimlessly. After narrowing down to an apartment with no water or city views to just rooftops and suburban gardens, Helvi with daughter and I made a move on an apartment that had a large balcony with a sunny northern aspect. It had a reasonable size lounge & kitchen, and three bedrooms, all with build-ins. The building which holds fifty two apartments was still being finished. On arrival we were watching the gardens being put in. We also noticed kitchen cupboards being carried. A hive of activity, one could say. The main building work seemed finished. I did not see any cranes or bull-dozers groaning around. The Estate Agent told us, ‘by the time your daughter needs to put up the lolly (settle) and pay for the apartment, all building work will then all be Hunky Dorey and finished’. As sung by Christy’s Minstrels. It came to pass that after the daughter managed to buy the new apartment after selling the old one, we were called upon once again to assist in the house-moving. It turned out that the ‘2 honest guys with a truck’ at $100 per hour, were British backpackers trying to make a quick buck. Totally inexperienced, they just hired a truck and honed in on the house-moving industry. The police were called after one of the backpackers threatened to drive off with all our daughters belongings if she did not pay up. This is when we were called upon. We paid them half what they charged but only after they emptied the truck of all of our daughter’s belongings. The police were on our daughter’s side which helped. I can’t imagine another road rage attack on video and on the front paper featuring me laying into British Backpackers. Soon after I caught the raging cold from the female haircutter with the previous mentioned copious snot trails across her apron. They say colds are opportunistic and attack those that are weak. When the cold subsided I joined bowling, but now feel that a good ‘piss-up’ is in order. It’s been too much and so full-on. Both of us just now went to the ‘Imperial’ and ordered two Napoli pizzas and a bottle of Deakin Estate Shiraz. ‘Just leave us the cork if we don’t finish the whole bottle,’ I asked the smiling waitress. She agreed, but we finished the whole bottle, and more. It’s been a busy and trying time. Did we do the right thing? Can retirees get pissed too sometimes? A sigh of relief or is there more to come? Getting up early is a habit that I indulge in each morning. Around 6.30 am the kettle is put on. The kettle is made of stainless steel, has a whistle and its water is boiled on gas. It is almost the first sound that is heard in this household every morning. The silver crested cockatoos are usually the first at that lovely honeyed twilight betwixt dark night and morn’s light. It’s been three weeks now since I had my morning’s coffee. I swapped over to tea instead. Helvi still insists on her first drink to be coffee. Making both coffee and tea each morning is a rather nice change from the earlier solo beverage routine. This morning was special. France had voted. Anxiety always follows me in a symbiotic relationship. I am sure things would just not be the same if all went smooth. That was one reason I jumped out of bed with a bit more than the usual sprightliness this morning. Watching last night’s news with Le Pen and its right-wing antics had me all keyed up. Last time I felt similar pangs of fear was during the Dutch elections when Geert Wilders was in the running. I felt most ebullient when he was dealt a mortal blow. But…France seemed a different kettle of poisson. What joy, what relief greeted me opening ABC’s news. Marine le Pen was second. The other main parties will now back the Emmanuel Macron who came in first getting 24% of the vote. The new wonder boy is likened to Canada’s Trudeau. He is on the right side of politics but in a refreshing twist is actually promising an increase in welfare. With the German right wing in retreat the world is again showing signs that xenophobia and fear of the foreign might be fading. I don’t know how we in Australia will go. At least this government is also getting on the nose, and I don’t think Pauline Hanson is making much headway anymore either. I feel so much better now, and might even have a coffee again. A Christmas pudding needs no introduction in Australia. However, back in 1956 it did need explaining for us. We had never heard of a pudding dedicated to a religious event in Holland. Mind you, it was only a few years ago when I mentioned a spongy type of chocolate cake with shredded coconut that this was called a lamington. For most of my life I was ignorant of one the most hallowed and revered delicacies, as British as fish and chips or a Beefeater on his watch. 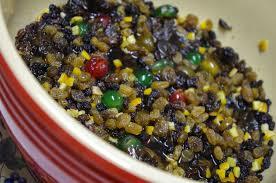 It is still the same with Christmas puddings. An event and tradition I have been excluded from till now. The exclusion was never deliberate. I never really experienced it, it was my own ignorance. The esoteric world of the dietary and culinary delights of Britain is lifting its veils and I am most honoured to have been accepted. Little could I have foreseen that in my post middle age, but not yet in my final pre burial stage, I would be called upon to help and prepare and cook a Christmas pudding. Not only that, the lady who politely requested my help is English, very English. I have to be very careful not to mention my support for Australia’s push into a republic. It would not be a good ‘show’. She has taught me the whole lineage of English Royalty right back to the Prince of Orange of Nassau and a diversion even further back to William the Silent. I learnt to be just as polite ( and silent) not wishing to point out that the Dutch Royals are also Oranges of Nassau related. The lady is our good and very lively neighbour. Too old to have bothered about the ways of her new stove, computers, skyping and all that electronic wizardry. I too have problems with this stove. As usual, too many options. I am surprised it doesn’t have photographic capability or Windows 8.1 Clouds with Sky-drive. All the help she required from me was to simply switch this beast of an oven on with about 4 hours of cooking time on 140c heat. Please, could you be at my place at about 6 o’clock, she asked? On arrival she had a large ceramic container filled with all the fruity looking ingredients including bright red and viridian green glace bits. Most of it were what looked like raisins and lots of dark brown dried fruits, perhaps dried plums, apricots, persimmons, dates, currants and some nuts. The lot she kept turning and mixing in a churning type of electric powered machine. I fulfilled her request by trying out all the buttons to find the 4 hours cooking time. On our own similar stove I usually put on many hours and just keep track on the required cooking time before switching it off. I rarely use the oven. In fact I cook mainly outside lately. Before I go any further I must add that our neighbour cannot be hurried. 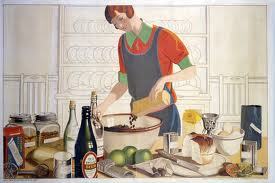 Her cooking is more of a slow meticulously laboured organized way of life rather than cooking. I swear that the walk between the kitchen bench top and the oven takes her about two hours. She gets waylaid by lots of diversions. She will shake the salt or just look at the bowls contemplating something. She surveys her vast array of cake dishes, ladles, spices, and like a conjurer keeping rabbits well hidden or…a voodoo priest contemplating in deep concentration a beheaded chook, finally makes a decision…she calls a good friend on the phone! Very nice Christmas cake, thanks Gerard, she added. Why does Australia imprison innocent women, children and men? What motivates a democratic, peace-time government to imprison innocent men, women and children? Former Liberal MP Judi Moylan looks at the divisive history of Australian border policy. Few matters have been more fiercely debated in the Australian Parliament or more unsparingly ventilated in the media than the recent and ongoing treatment of asylum seekers arriving by boat. To understand what motivates a democratic government in peace-time to implement policies that imprison indefinitely thousands of men, women and children who have not been charged with or convicted of any crime we must turn to historical, social and political attitudes. Though countries around the world guard their sovereign powers jealously to determine who may enter, the treatment of asylum seekers in Australia has been particularly high profile and divisive. This article seeks to understand why. Immigration has been contentious in Australia since the early days of European settlement. 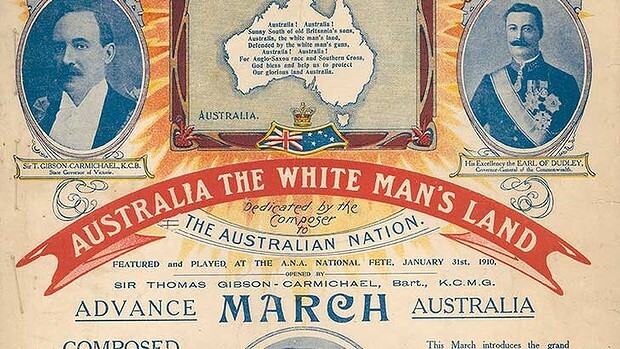 It was an issue during the establishment of the Federal Parliament in 1901 when two early bills underpinned what became known as the White Australia Policy. Between 1945 and 1955 one million immigrants came to Australia. Even after the Menzies government signed up to the 1951 UN Convention, refugees continued to be selected according to the colour of their skin.